Referly, a YC-backed company that makes it easy for anyone to earn a bit of money while sharing links to products they adore, just raised $1 million in seed funding. Investors include New Enterprise Associates, Ignition Partners, 500 Startups, Jeff Lawson (CEO of Twilio), Elliot Loh, Eileen Burbidge, Ullas Naik, Michael Liou, Damien Tanner, Matt Monahan, and Carter Rabasa. Danielle Morrill, the company’s CEO, is pretty frank about using the funding to go all out or go home. They’ll use the funding to hire a back-end engineer to scale up the service. Referly has about 10,000 users now and is growing 45 percent month-over-month. “Funding is not actually success. Success is being cash-flow positive, especially if you’re in a transaction-based business,” she said. Part of the round was raised through Morrill’s connections as a former director of marketing at Twilio. (She was the first, non-founding employee.) Another part of it was raised through AngelList. So how does Referly work? It takes the long-established practice of affiliate linking and makes it easy for regular, everyday people to tap into it. Online stores across the web, from Amazon to smaller retailers, often give a cut of revenue to other sites that drive them customers who make purchases. But the process to sign-up as a partner in these programs can be time-consuming for regular people. At Refer.ly, you can go and create special links that track whether you’re driving sales to other sites. If a recommendation does end up with a friend or family member making a purchase, you’ll earn a small commission (which usually ranges from a few percent to 10 percent depending on the product). If you make more than $10, you can take it out, donate it charity or share it with friends. Morrill says that she’s seen cases where a user has made $1,000, but a more realistic rate might be $100 a month or so. 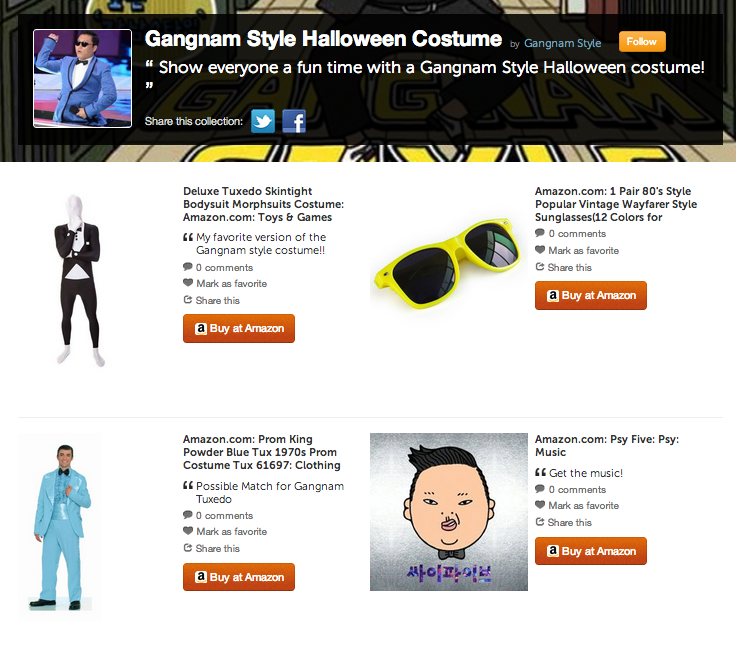 Users can make special pages full of product recommendations around themes like Halloween, Burning Man or emergency preparedness. The site has about 10,000 curated stores now.